As we know, Apple iPhones usually store a large body of content including music, photos, contacts, mail, notes and calendars. However, you need to set up a backup procedure to ensure you don't lose important contacts if your iPhone is damaged or lost. 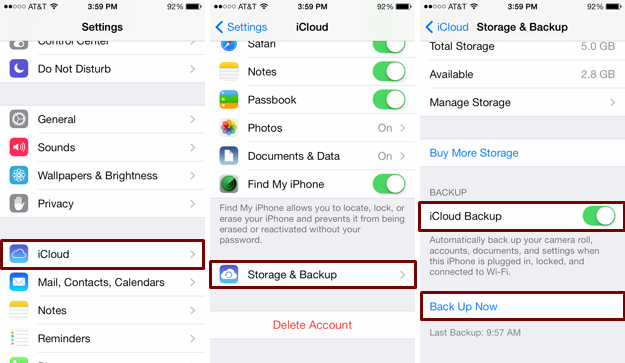 In this article, we show you the full guide on how to backup iPhone contacts in steps. 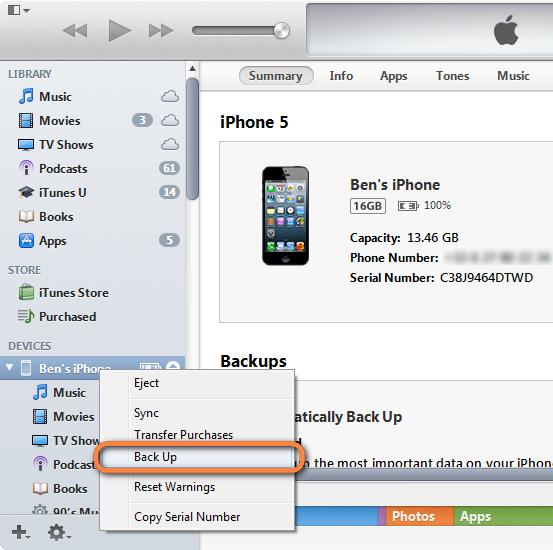 It includes 3 different ways: backup contacts on your iPhone to iTunes, iCloud or Gmail. The backup process is much faster. Step 2. Verify the iCloud account is set up and that "Contacts" is turned ON. Step 4. Tap "Back Up Now". Your contacts will still be safe even if your iPhone or computer gets a hitch. Your contacts are backed up automatically. It eats on your home internet bandwidth. It requires plugging for it to be automatic. It is cross-platform, which enables one to 'pull out' the contacts to any Smartphone connected to the internet. It is fast, easy and straightforward. Additional Tips: You never know when you might lose your iPhone, or be stuck with an inoperable device after an ill-advised iOS update. Luckily, as long as you have your contacts backed up to iTunes, iCloud or Gmail, you will be able to salvage them easily. Well, if you accidentally deleted a group of contacts from your iPhone, what can do you? Is there any way to recover lost iPhone contacts? Of course, there is. With the help of a professional iPhone data recovery tool- Brorsoft iRefone for Mac, it's available to recover your iPhone lost contacts from iTunes, iColud or directly from your iPhone. Overall, it is a professional iOS data recovery tool for iPhone/iPad/iPod users to recover lost & deleted contacts as well as notes, messages, whatsapp, photos, etc on Mac OS X (Yosmite and Mavericks included). If you accidentally deleted contacts from iPhone, just leave all the mass to the best iPhone deleted contacts recovery tool and it will offer you basically 3 methods like recover contacts directly from iPhone without backup, restore contacts from iTunes backup, or retrieve from iCloud. If you want to get back deleted contacts from iPhone on Windows(Windows 8/8.1/10), please turn to iRefone.